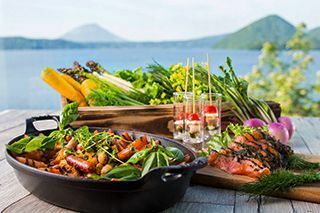 Hokkaido: A Hot Spring Paradise! 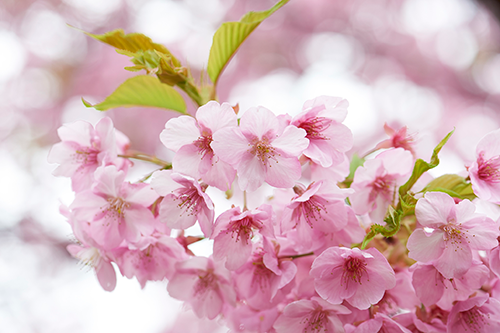 Hokkaido is home to over 250 hot springs, consider as one of the prefecture with the largest numbers of hot spring. 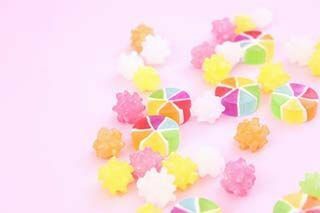 Even though you can enjoy an onsen no matter what season, it is most satisfactory during the colder seasons, especially when it’s snowing outside. There are various types of hot springs across Hokkaido, from small family-run inns to luxurious hot spring resorts where you can soak in traditional indoor baths or outdoor ones surrounded by nature (and snow in winter). In addition to free footbaths dotted around hot spring towns, many ryokans (inns) offer day-visits to their baths for a small fee. 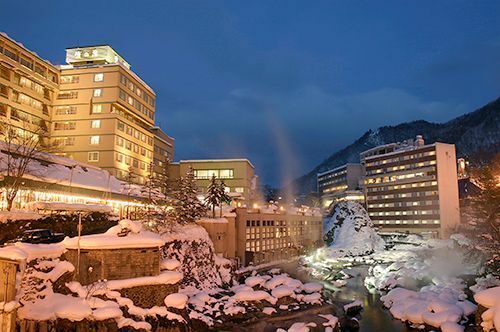 Jozankei Onsen is the closest hot spring area to Sapporo, located under an hour away within the Shikotsu-Toya National Park. Discovered in 1866, it is one of the most developed onsen area in Hokkaido, boasting numerous onsen hotels and ryokans (inns). One of them is Nukumori-no-Yado Furukawa, an onsen ryokan with a traditional Japanese atmosphere boasting four hot spring experiences. The traditional wooden bath on the top floor is where you can view scenery while you relax, while Yumemi is an outdoor bath in the basement with a nostalgic wooden decor. There is also a hot stone bath and a private bath called Hinoki. 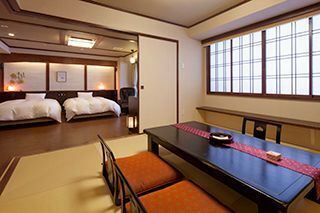 Free for hotel guests, the facilities are also available for day use from ¥500 to ¥2,200. There is a free shuttle bus to/from downtown Sapporo to Jozankei Onsen, which is a 50-minute journey. 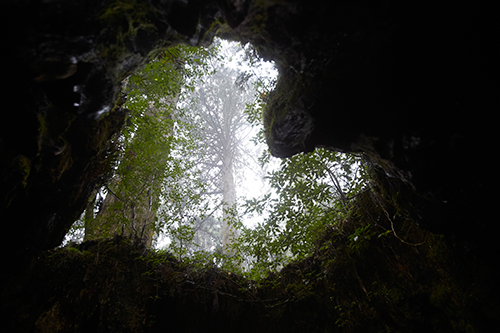 Noboribetsu, located in Shikotsu-Toya National Park, is a famous hot spring area and home to “Hell Valley”, a large crater that is named because its geothermal waters create a landscape of smoking geysers and fumaroles. 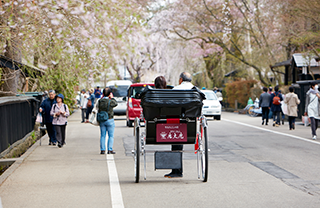 There are numerous walking paths where you can enjoy the beautiful scenery. The boiling water from this area supplies the hot spring water – up to 10 million litres a day! 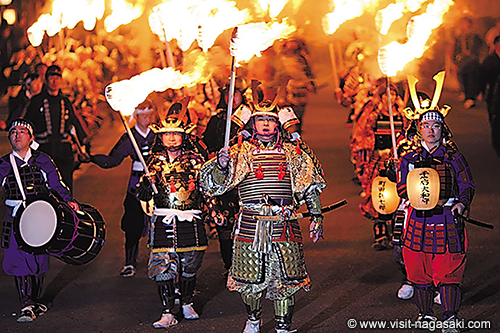 – to nearby onsen hotels and inns of Noboribetsu. 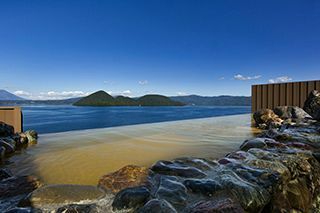 Another popular hot spring area is Toyako Onsen, located along the shore of Lake Toya just at the foot of Mount Usu with spectacular views of the surrounding nature. 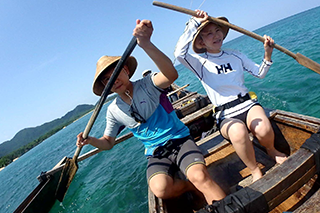 The brownish-yellow spring water here is famous for its healing properties, particularly to relieve neuralgia, arthritic pain, and skin conditions. 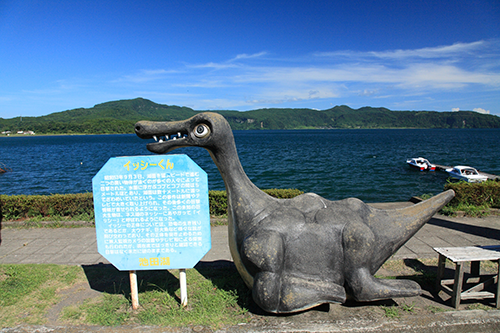 Along the lakefront promenade, where fireworks are held every night from spring to fall, are a number of free footbaths as well as lakeside resorts, including Lake View Toya Nonokaze Resort which has a rooftop open-air bath boasting majestic views of Lake Toya and Mount Yotei, as well as Showa no Yu, a traditional sento (public bathhouse) with a retro atmosphere. There are also large private hot spring rooms with views of the lake. The free shuttle bus from JR Sapporo station to Nonokaze takes around 2.5 hours. 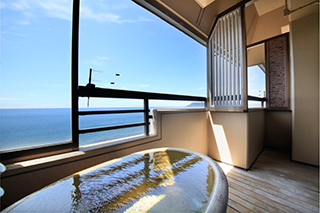 Yunokawa Onsen in Hakodate is a premiere hot spring resort town in southern Hokkaido, located right next to the ocean! 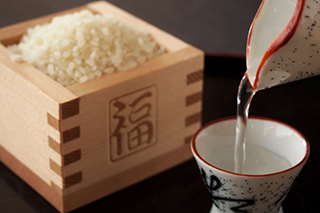 It was founded in 1653 by a Matsumae clansman who discovered the water’s healing abilities. 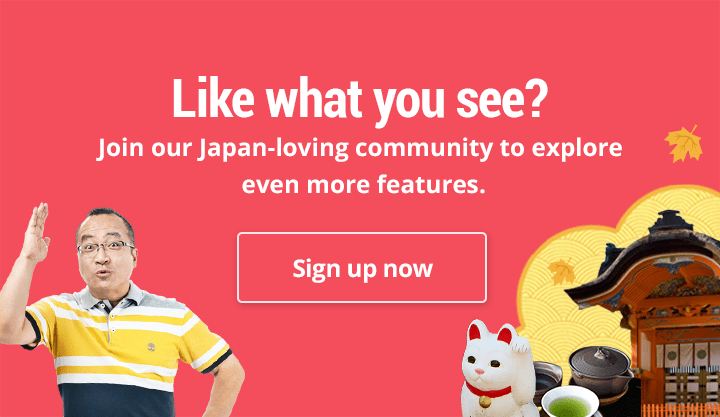 In addition to a number of hot spring resorts, you can explore Yunokawa’s Yukura Shrine, the tropical botanic garden, and enjoy soaking in a number of free footbaths dotted around town. 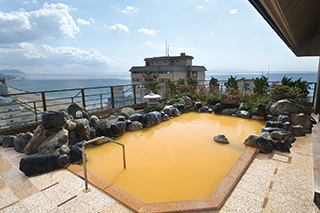 Toho Resort has two hot spring hotels in Yunokawa: Heiseikan Kaiyotei which boasts an extremely rare hot spring called okayu (red coloured water) which can be enjoyed in their rooftop outdoor bath with views of the ocean, as well as Heiseikan Shiosaitei which is located right on the beach – its Hanatsuki annex features private ocean-view open-air baths in all rooms! 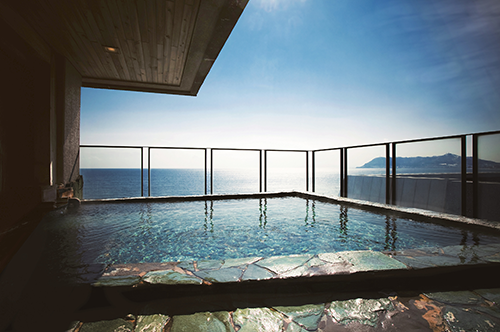 Yunokawa Onsen is easily accessible within 20 minutes from Hakodate via streetcar or bus. Part of the reason why we go on holidays is to relax and destress – immersing yourself in an onsen is the perfect way to do so. Not only is it rejuvenating for your body and soul, being surrounded by nature will put you even more at ease. 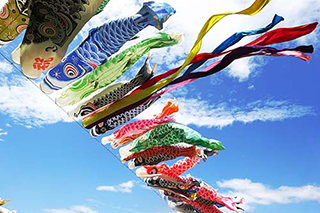 Hokkaido offers such a diverse range of hot spring options, so why not try experiencing it for yourself?